In May 2015, I entered the #The100DayProject. The premise was simple, but hard: do something for 100 days. 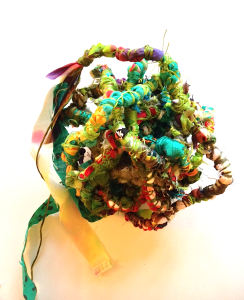 I wrapped, tied, and knotted 6″ of twine for (over) 100 days. I swear, this little thing grew like a chickenheart.